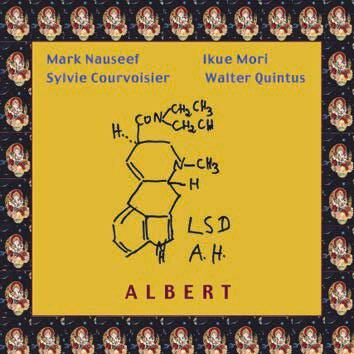 This recording by Mark Nauseef (percussion and cheap Cassio), Ikue Mori (computer), Sylvie Courvoisier (piano & prepared piano), and Walter Quintus (recording and mixing) is a tribute to Albert Hofmann who celebrated his 100th birthday on January 11, 2006. Albert Hofmann is the alchemist who discovered the philosopher's stone in the form of LSD. A unique opportunity to hear Albert's voice emerging from the music just to disappear into music again.